Khloe K's family have reportedly told her to leave French Montana because he's cheating on her. Khloe Kardashian needs to run for the hills -- away from French Montana -- and that's exactly what her family told her during a heart-to-heart talk Wednesday. Sources familiar with the situation tell us ... the Kardashians believe French has been unfaithful to Khloe, and their evidence centers around his recent trip to Dubai. We're told the family believes French was hooking up with a very pretty woman during the trip, and tried to use Kim as a cover. We know they told Khloe French sought out Kim during the trip so Khloe would see pics of the 2 of them and think he was just hanging with her sis ... nothing nefarious. 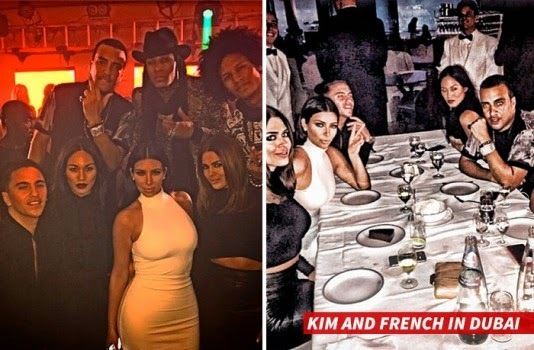 We're told the Kardashians say French's plan unraveled when Kim came home and told Khloe she was literally with French 10 seconds here and there. The family is convinced he used Kim to deceive Khloe.